Preparation for First Sacraments of Penance and First Communion is a two year process. Although immediate preparation for reception of these Sacraments typically takes place during the second grade, students are required to be enrolled in a religious education program for at least one year prior to their year of study for the Sacraments. Parents of students preparing for First Sacraments are expected to attend scheduled adult sessions for each sacrament while children are attending class. As parents, you are your child’s first and most important teacher. Your role as parents in the religious formation of your child is both a privilege and an obligation. The responsibility of bringing your child up in the faith, entrusted to you at baptism, also extends to sacramental preparation. 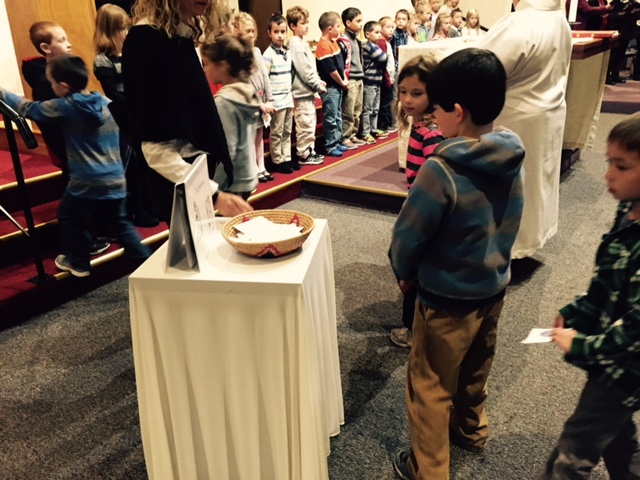 We are happy to journey with you as your child prepares to celebrate the sacraments of Penance and First Communion. The focus of sacramental prep is geared not only to your child’s first celebration of the sacraments but, more importantly, for a lifetime of regular participation in the sacraments.